This post has 202 views. During the last winter holiday season, my family and I visited China for the first time since 2010. We went back mainly for a family reunion, but we visited a few places as well. It was a good trip in terms of seeing relatives and visiting new places, but I had a cold through most of the trip so I didn’t feel 100%. I still a lot of fun though, and this post contains the highlights of the trip. 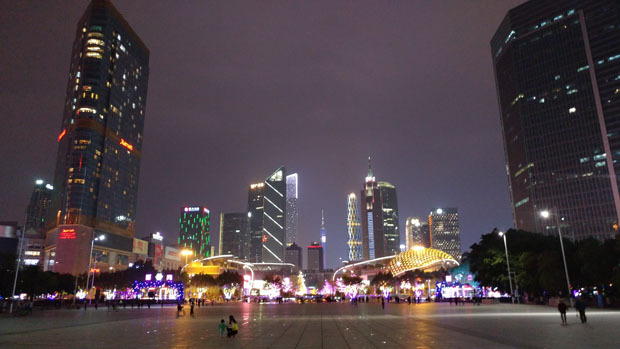 The view of the Tianhe area at night, towards the south to Guangzhou Tower.